Life as an eco friendly mom takes some extra effort. Doing so as a stay at home mom has some advantages, but that still doesn’t make it all that easy. You can’t understand why anyone wouldn’t use cloth diapers on a baby. With the right ones, it’s really not that different from disposable diapers, and much less waste. Then there’s the chance you can potty train your child younger than average… freedom! You enjoy making baby food for your little one. Your children help you in your organic garden. Most likely you’d love to have more room for it. If there’s any way to have free range chickens in your backyard, you’ve got them. Making homemade bread is one of your pleasures. The time spent is well worth the effort both for the taste and the savings. You can think of plenty of uses for empty jars. You know how much money you’re saving by choosing eco friendly options and how much waste you’re preventing. You walk to run errands or take the kids to school whenever possible. Possible includes wet and cold weather, so long as it’s safe to walk where you’re going. Other parents may comment on your fortitude or insanity. You wonder if your family really needs two cars. You may have even gotten rid of the second car because you know you can live without it. There’s public transportation for those times you need to get somewhere you can’t walk to and your husband needs the one car. You breastfeed your toddler as long as you both enjoy it. You don’t let caring for your children keep you from caring for the world around you. You do your best to teach your kids why they should care about the environment too. The clerks know you at the local thrift store, and you know how to find the best clothes for your kids and yourself there. Who needs new? Most times you take your kids with you to the farmer’s market, so that they can learn about food. But it’s a nice break sometimes to go on your own for a little peace and quiet. Hopefully you won’t start looking frantically for the “missing” child you left home with daddy. 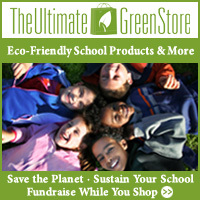 You know what the best eco friendly toys are, and your kids love them. Most of their non eco friendly toys are handed down or were bought used. Your children know little to nothing about fast food restaurants, and especially little about toys that come with meals. You make many of your own cleaning supplies, and check the ingredients of any you buy. Everything you clean with is so safe you can let your kids use it.